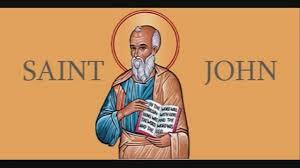 Purpose of the Gospel according to St. John: But these are written, that ye might believe that Jesus is the Christ, the Son of God; and that believing ye might have life through his name (John 20:31). Jesus was in the Temple from chapter 7:14 to 8:59. Now, He went out of the Temple but remains in Jerusalem. He is going to give evidence by a deed that He is the Light of the World as He did by a Word in 8:12. Those who reject Jesus remain in darkness. The conversation to follow turns on this point that the man has been blind his whole life. The disciples would have learned from the Old Testament that the sins of the Father fall upon the children. However, the prophets also teach that individuals are accountable for their own sin. So the disciples are confused. Why would the parents be exempt from all punishment if the sin was done by them? How could the man have sinned before his birth to receive such a punishment? Who is responsible for the sin that caused this man’s blindness? Jesus corrects the disciples. Not all suffering can be traced back to a specific act of sin. Yes, all suffering comes from sin in some way or another. However, the Lord also oversees all this and may direct it differently than a simple cause and effect. Jesus never explains the details of this very complicated topic. This is not going to be the work of God’s power over man’s weakness but the work of God’s grace and mercy revealed in healing this man. The “I” must work is a minor variant. The ESV has “We” must work and has much greater support. Jesus is including His disciples into the work of the Father. The Father sent Jesus (me; not the disciples) and what will follow from this is that Jesus will send the apostles. while it is day: the night cometh, when no man can work. This refers to the time of Jesus’ earthly/public ministry that will cease at His death. The work He does after is of a different kind. Also, the apostles’ will be sent to work but that work will also be completed upon their death without a continuing afterward. The work Jesus does after His resurrection depends on the work He accomplishes before it.